Down below is list of all the free/affordable spirituality-related events that are happening in the Lower Mainland, as well as self-guided spirituality activities. ​If you would like to share some events that you know are happening, please e-mail our Resource Specialist. You may need to cross shallow tide pools to arrive at the labyrinth location, so please come prepared and dress for the weather. In the spirit of reciprocity and gratitude, please bring a gift to offer to the Sacred in Nature such as flowers, coffee beans, etc. These will be used to create a mandala in the centre of the labyrinth. Colouring can be a way to relax, reduce stress, boost mental clarity and work on mindfulness. Check out this site to download free printable colouring sheets. Featuring Darryl Nixon, the Minister of Music, and guest artists. This candlelit meditative service of music and prayer is a gentle and contemplative way to renew your spirit through music and reflection. Visitors of all faiths and backgrounds welcome. Soothing herbal teas served before this family service. Four legged family members also welcome! Join in this meditation and soothing Gong Bath, led by Soraya. 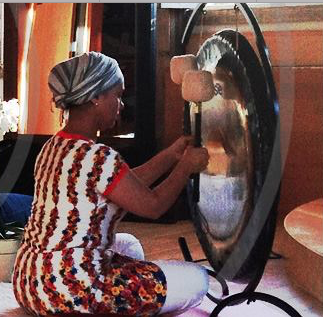 Deep meditation practice and inner cleanse by powerful vibrations of Soraya's Gong. You just lie down on a comfortable meditation cushion, cover yourself to stay warm, and surrender to the magical power of the Gong vibrations. 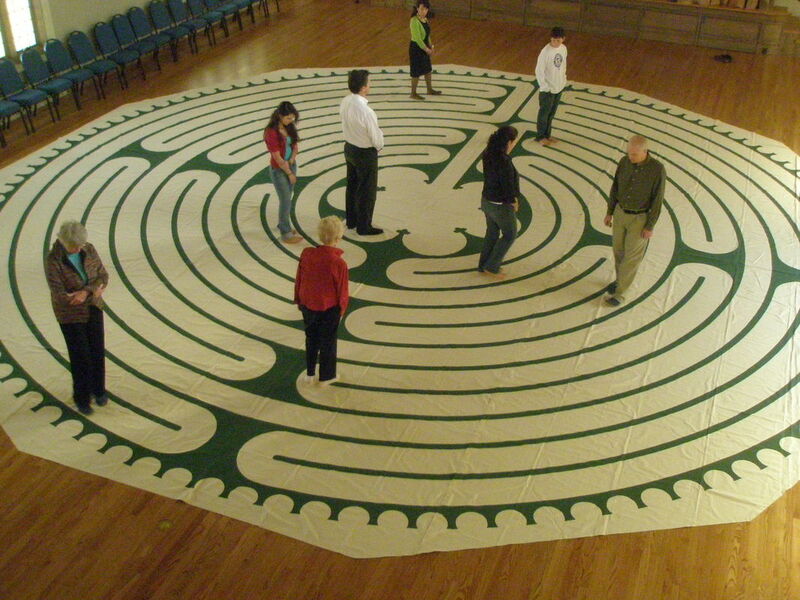 You can walk the meditative labyrinth most mornings, but on the last Friday of every month there is wonderful peaceful live music to accompany you. New Year's Eve is a special treat with live music changing hourly, right up to midnight! Included within the program is a discussion on the meaning of the Mantras that we are chanting, as well as excerpts from the ancient sanskrit text, the Bhagavad-Gita. We learn about the soul, consciousness, karma, meditation, and bhakti yoga – the yoga of devotion. Everyone is encouraged to participate to the level they feel comfortable. A delicious vegan dinner is also served in the end! Be sure to RSVP at the Meetup page below, especially so they can plan for the dinner. For an introduction to mindfulness meditation that you can practice on your own, turn on your speakers and play some of the meditation audio options. A group of six people, all at different places on their individual journeys of discovery, came together as a community once a month for 18 months. They spent time reflecting on life, mental health recovery, spirituality, transformation, meaning and community. It is out of these conversations that this online book emerged.